Established in the year 1979, Child Rights and You which is known as CRY is a non-profit organization working in India. Started by Rippan Kapur with just Rs 51, CRY was set up with an aim to enable people to take accountability for the condition of the deprived Indian children and encourage them to seek resolution through collective action. But, any NGO that wishes to have a professional impression and raise money requires a site that creates interest and confidence. 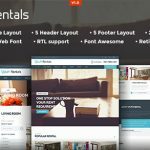 WordPress themes help in creating a website that is easy to navigate, user-centric and visually appealing. 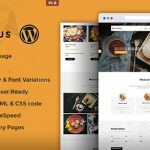 With the help of WordPress themes, you can easily start donation and fund raising for your organization in just few hours. So, CRY chose WordPress Charity Theme from theem’on for this purpose. For grant making, CRY has also adopted an angel investor or a social venture capitalist approach. Thus, in order to reach to the large number of trustees and donors, it became vital for CRY to have a decent website. And for this, theem’on WordPress Charity Theme played a big role. 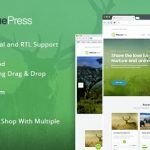 This Charity WordPress theme turned out to be a great solution for CRY. Getting recognized for doing good work is essential and online medium is the perfect way to do it. CRY frequently posts all the event details, present works and images and also gives a brief to the visitors about its work. 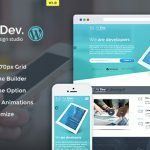 The major benefit of the charity WordPress theme offered by theem’on is that it gets updated automatically from time to time and also sends the notification to the donors about the latest updates in their trust. Though, there are many charity themes available online, still charity theme offered by theem’on tops the list and met all the needs and demands of CRY, a non-profit organization. Powered by Bootstrap 3.0, the Charity WordPress theme by theem’on is fully responsive and flexible. It incorporates W3C validated markups, sticky navigation, multifarious layouts and many more interactive features that turned out to be highly beneficial for CRY. The look and feel of the theme provide exceptional appearance to the website and differentiate it from others. 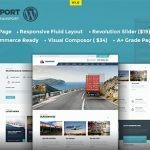 Making use of the latest techniques, this theme is designed in such a way that it provides outstanding performance with “A” grade loading speed and easy payment plugin. Packed with myriads of features, this theme is the ultimate option for all the non-profit organizations, churches as well as charitable trusts.